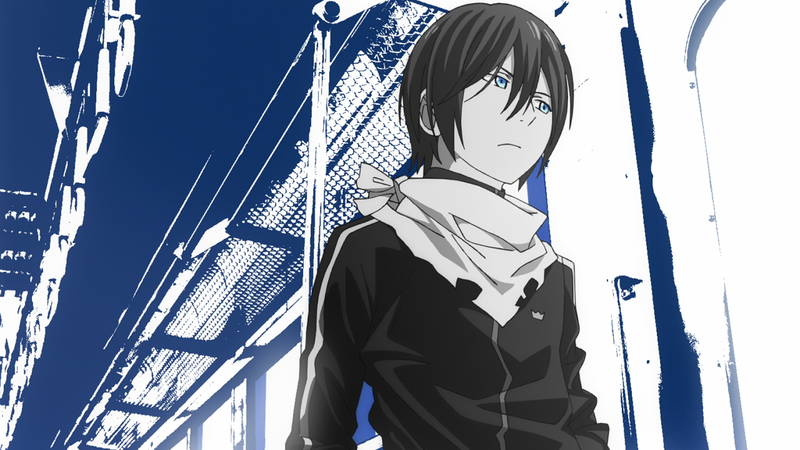 recently, i picked up this charming anime known as ‘noragami’ (nora=>stray; gami=>god). it was released early last year but somehow my animedar missed it then. 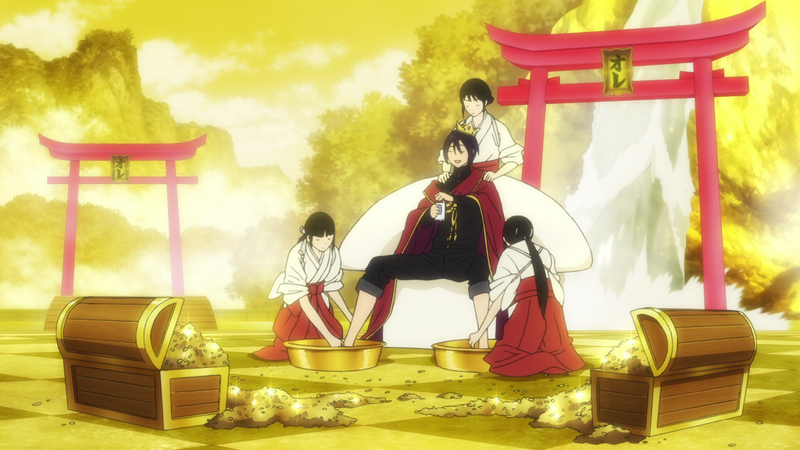 the story follows the exploits of down-and-out (stray) god yato, who’s trying to amass enough worshippers (more worshippers = more money) to fulfil his dream of building his own shrine. meanwhile, he bums around, tries hard to get jobs and being shrine-less (homeless), squats at others’ shrines at night. however, finding work is tough. and each job gets paid only 5 yen. (somehow, they forgot to account for inflation). 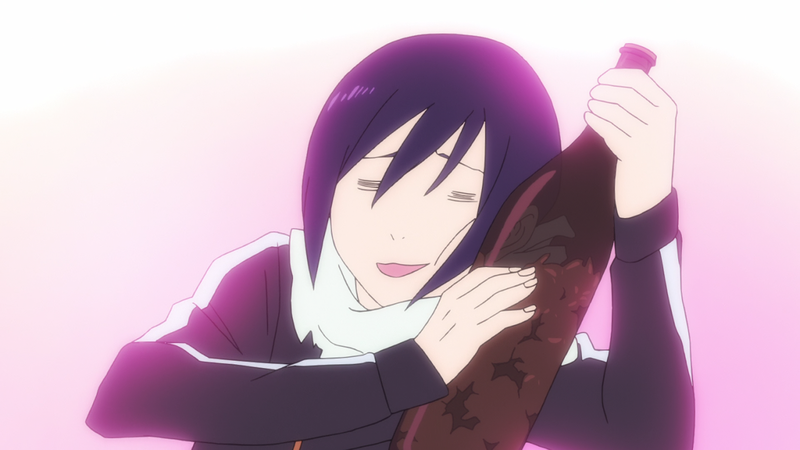 and poor yato couldn’t fill his sake bottle with enough 5 yens coins yet. here’s some interesting titbits on the 5 yen coin. 5 yen is a small price to pay to have a god grant you a wish. but why 5 yen? ご縁がありますように – that’s what japanese say when they pray. it means “I hope to get relations with good people and gods”. ご縁 = ごえん = 五円 (sounds like 5 yen). in today’s term, 5 yen will be equivalent to 100,000 yen (almost usd 840). really, yato should review his charges. 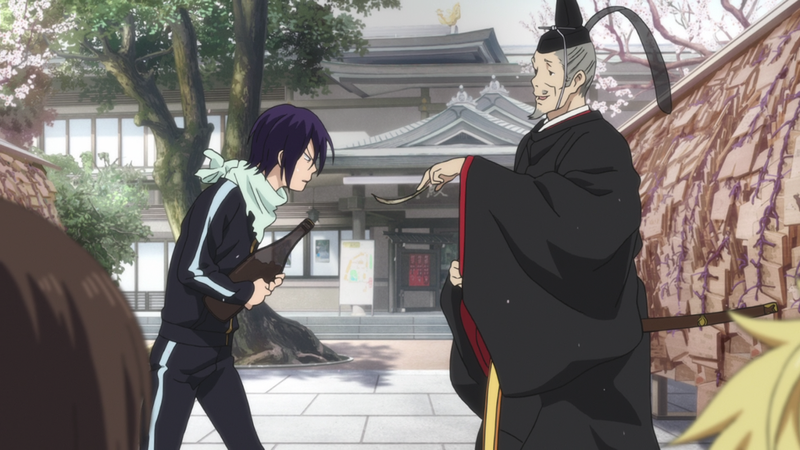 yato’s pipe dream: vision, illusion or delusion? in these days, even the gods are not spared income disparity. word’s out that season 2 is on the way. i’m looking forward to it.